The excavation, the reconstruction, and The Mere Distinction of Colour. For a decade, tours of the Montpelier house had included frank discussions of slavery, but a prominent, uncomfortable, and unavoidable part of the Montpelier story was still conspicuously absent from the visible landscape. So much emphasis had been put on the house, the Madison family, and the history of their achievements as people and political figures, that the legacy of slavery and the African American contribution felt like a footnote. Ford vocalized the lack of representation of the African American experience, and, in doing so, set Montpelier on a journey to represent a fuller, more accurate American story. This starts with addressing the basic facts that Madison, the “Father of the Constitution” and the “Architect of the Bill of Rights”, was also a life-long slave owner, and that the people he owned as property had their own remarkable stories. But it doesn’t stop there, because Americans need places to engage with and talk about the questions history presents to us, how they relate to our lives today, and, more importantly, how they inform the world we want to make tomorrow. — the exhibition builds on 17 years of archaeological excavation, documentary research, and oral history and cultural exploration. Visitors will move through the cellars of the main house to six reconstructed slave dwellings and work buildings in the South Yard. This unique experience examines the institution of slavery in the Founding Era, celebrates the humanity of Montpelier’s enslaved people, and confronts the legacies of slavery in today’s world. The project, funded by a generous, $10 million leadership gift from patriotic philanthropist, David M. Rubenstein, underpins Montpelier’s most daring and transformative initiative: to tell an honest and unabridged American story that relates to many of the wide-ranging social and cultural issues we face today. Through continuous personal engagement with an active, national descendant community, archaeological study, and nationwide research initiatives, Montpelier remains committed to, above all, telling a more complete and honest story of the history of our nation. Montpelier engages descendant community to tell more complete American story. Other Presidential sites of the Founding Era have elevated the importance of descendant engagement over the past two decades. 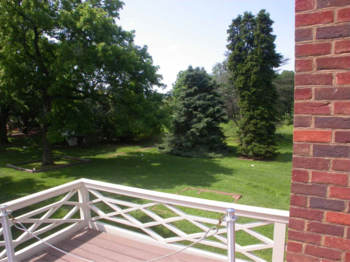 However, two features set the work with the Montpelier Descendant Community apart from peer institutions. The first is how Montpelier defines its “descendants.” What started as those who traced their genetic lineage to people enslaved by the Madisons at Montpelier has grown into a broader stakeholder community, comprised of some with documented ancestral ties and others who feel a strong connection to, and ownership of, Montpelier’s history. Montpelier made the conscious decision to embrace African Americans who traced their roots to Montpelier via oral histories and invite them into the growing descendant community—for many African American families, documentary evidence prior to the 1870 census is scarce or non-existent. Additionally, the world of enslaved people didn’t conform to the boundaries of white-owned plantations, since family members often lived on neighboring sites, if not further afield. Montpelier’s strong ties to the local descendants started with Rebecca Gilmore Coleman, granddaughter of George Gilmore, an Orange Country freedman formerly enslaved at Montpelier. Her family’s ancestral home sits right across the road from Montpelier’s main gates. 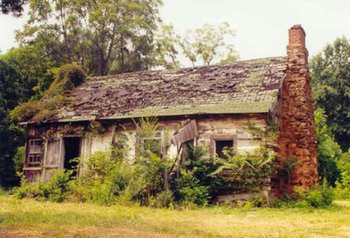 Though the cabin had been there since 1873, Coleman, her interest piqued by Alex Haley’s, Roots, didn’t learn of her connection until the 1980s, when her father pointed it out as they drove by. 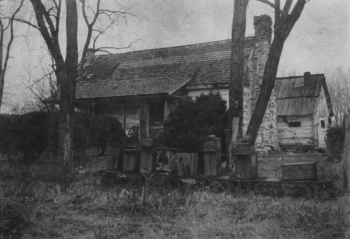 As the years wore on, the cabin was neglected and fell into disarray, a visual metaphor for the lack of attention many historic sites gave to the histories of the African Americans who had once inhabited their properties. A prominent citizen in Orange, Virginia, and founder of the Orange County African American Historical Society (OCAAHS), Coleman saw an opportunity in advance of Montpelier’s commemoration of Madison’s 250th birthday in March of 2001. She lobbied The Montpelier Foundation, then taking over operation of Montpelier, to investigate and restore the Gilmore Cabin. Her efforts caught the attention of Matt Reeves, Montpelier’s Director of Archaeology and Landscape Restoration. 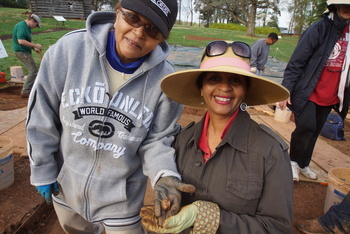 The seed was thus sown for what would become the Montpelier Descendants Project, and in 2005 the Gilmore Cabin reopened, followed by the Jim Crow-era train depot across the street in 2010—both as permanent installations at Montpelier. Paul Jennings was born into slavery on the plantation of James and Dolley Madison in Virginia, later becoming part of the Madison household staff at the White House. Finally emancipated by Senator Daniel Webster later in life, he would give an aged and impoverished Dolley Madison, his former owner, money from his own pocket, write the first White House memoir, and see his sons fight with the Union Army in the Civil War. Based on correspondence, legal documents, and journal entries rarely seen before, this amazing portrait reveals the mores and attitudes toward slavery in the nineteenth century, and sheds new light on famous characters such as James Madison, French General Lafayette, Dolley Madison, and many other long-forgotten slaves, abolitionists, and civil rights activists. — and many returned for the dedication of the timber-frame structures in the South Yard in 2011. In 2016, the Maddens of Culpeper joined the community to celebrate their connection to indentured servant, Sarah Madden. Today, engagement with the Montpelier Descendants Community takes on many forms, from archaeological programs, to gatherings and celebrations, to advising Montpelier’s interpretation of exhibitions and programs. “Over the course of the last 10 years, as an educator, as a researcher, and as someone who is very much interested in her own ancestral roots and family history, I’ve found that developing relationships with people at Montpelier, at many levels, has been rewarding,” explains Patrice Grimes, Montpelier Descendants Community member and UVA Curry School of Education Professor. Archaeology connects descendants with ancestors. The daily realities of Montpelier’s enslaved people are mostly absent from documentary records, therefore the interpretation of their material culture is a primary source for piecing together the puzzle of what life was like for them. Montpelier’s unique approach to public archaeology has created an avenue for members of the Montpelier Descendants Community to connect to their past and their ancestors. A Montpelier archaeology expedition helped Gilmore descendant, Michelle Taylor, choose her career. The recent VCU graduate discovered her family’s connection to Montpelier and joined a dig in the South Yard. Taylor credits that experience with solidifying her decision to commit her life to studying history. The descendants participation in archaeology has also deepened Montpelier’s understanding of the history of the place. During a descendant expedition in 2015, roots of a large walnut tree were impinging on the search to uncover one of the six structures in the South Yard. A Madison-era tree that was likely present to offer shade, and bear witness to, the trials and tribulations of the enslaved people. and therefore culturally significant to the site. 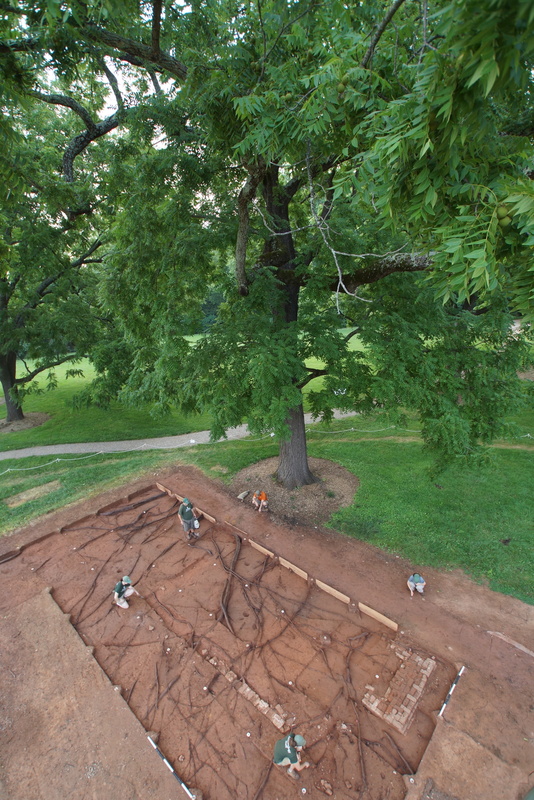 In light of this new information, archaeologists worked with the arborists to complete the necessary excavation while preserving the roots, the tree, and the history. “In order for us to become that great nation that we keep hearing about, the truth has to be told." Celebrated annually on June 18th, Juneteenth celebrates the abolition of slavery. While Lincoln’s Emancipation Proclamation was made on January 1, 1863, slavery wasn’t officially abolished in Texas until June 19, 1865. Now, almost every state observes Juneteenth as a day to recognize, reflect, and celebrate African American history and culture. celebration organized by the OCAAHS. The conversations at the gathering were far-reaching and helped guide the work on The Mere Distinction of Colour at a critical phase of its development. By genuinely engaging with and seeking out African American descendants, Montpelier is moving ever-closer to creating and articulating a more complete American story. "In college to study anthropology, she found slave ancestors nearby": the story of how Montpelier descendant, Michelle Taylor, discovered her roots and her passion for history. "Madison and the White House, Through the Memoir of a Slave": read more about the Jennings family's visit to the White House in 2009. Donate to Montpelier Archaeology to contribute to the excavation of the South Grove.